Marion Nestle, the esteemed food politics author and professor, recently wrote a column in the San Francisco Chronicle titled ‘Natural’ label not easy to pin down in which she discusses why the FDA has failed to define the term ‘natural.’ She says its “difficult to pin down” but I say it isn’t. Those of us who follow sustainability and food marketing know that the term ‘natural’ can mean just about anything because it has no nutritional meaning. In fact, I contend that the term ‘natural’ is the single most commonly used greenwash tactic (the Sin of Vagueness). A wide assortment of products, ranging from Skinnygirl Cocktails to Frito Lay’s SunChips to Wesson Oil, have been guilty of this marketing ploy. …the so-called ‘natural’ foods and products sector [is] a $60-billion dollar a year powerhouse, garnering twice as many sales in 2012 as certified organic products … The majority of consumers believe, contrary to fact, that the cheaper foods, supplements, body care, clothing, and other products bearing the “natural” label are “almost organic,” while many consumers actually believe that the “all natural” label means a product is better than organic. Frustrated with the FDA, USDA and FTC’s unwillingness to police the term ‘natural,’ some consumer groups feel that litigation is the best path to stopping the egregious marketing tactic. Recently, a number of class action lawsuits have been effective in compelling product companies to stop making bogus marketing claims. Some, like Naked Juice, settled a suit and will remove the term ‘natural.’ Others, like Barbara’s Bakery, agreed as part of their class action lawsuit settlement to go the extra step and mend their ways (they will use costly third-party verification such as the Non-GMO Project and stop using unnatural ingredients.) The Barbra’s Bakery move is seen as an example of a company filling the gap left by the government. …the public will be better served if the compromises in defining ‘natural’ come at the end of the negotiations rather than the beginning. … taking ‘all’ or ‘100%’ off of the label and just making a ‘natural’ claim gives an company more leeway and greatly reduces the risk of anyone taking action for it. So, it looks like for now up to consumers and their class action lawsuits to do what the FDA, USDA and FTC won’t. Its a sad world when litigation is the only path to pinning down the ‘natural’ label. So, how would you define it? It does seem quite tricky to me. I hear you Wag! It is a bit sticky with so many naturally occurring products that are then processed. And I think the processing may be the key. That said, I would agree with Nestle that a good place to start would be the organic standards. This means that products are produced without using pesticides; without fertilizers made with synthetic ingredients or sewage sludge; without bioengineering or ionizing radiation; and that products that come from animals are given no antibiotics or growth hormones; I would also exclude anything synthetic, artificial and more than minimally processed and would expect that to include additives that include anything synthetic, artificial and more than minimally processed (which would be most additives). 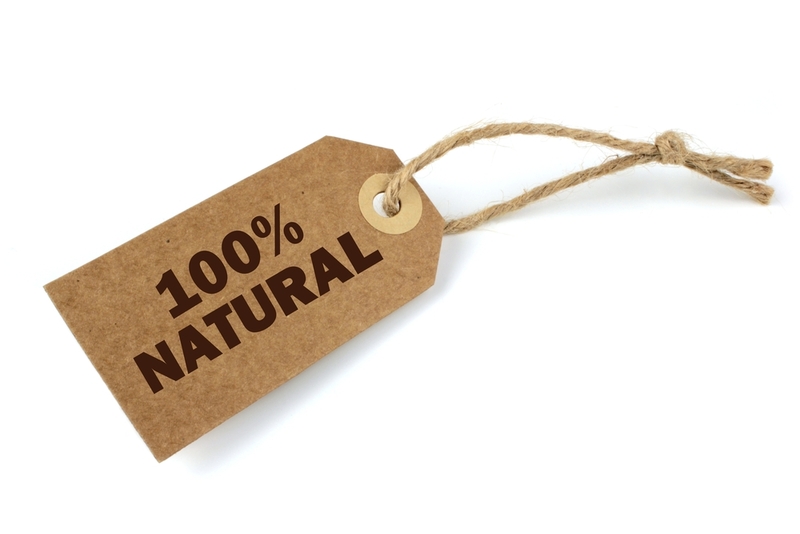 I would also eliminate the distinction between ‘100% natural,’ ‘all natural’ and just plain ‘natural.’ I believe ‘natural’ should mean what it says and not be a marketing term without meaning. Amen to that! I mistrust the term so much at this point that when I see natural on the front of a package, I go immediately to the ingredients to see what the company is trying to hide. Pingback:Eat Drink Better | Cooking, healthy food, and sustainable eating!